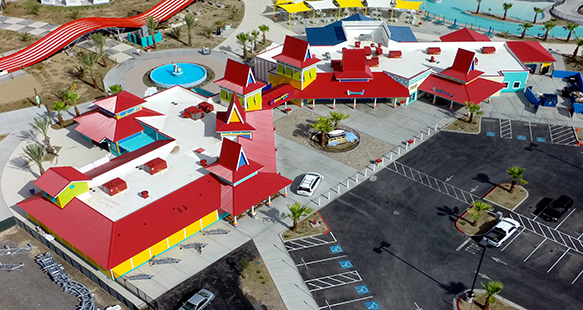 The Cowabunga Bay Water Park, constructed by R&O Construction, features more than 25 water slides on a 23 acre site in Henderson Nevada, and is themed to the 1950s and 60s. 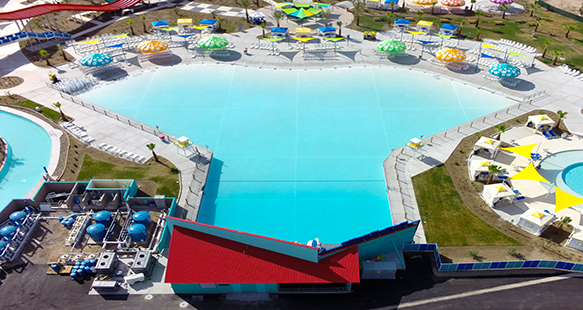 The water park showers guests with thrilling water slides, an enclosed pitch dark water slide with unique lighting features as you increase speed, giant wave pool, lazy river (the largest in Nevada) and much more. 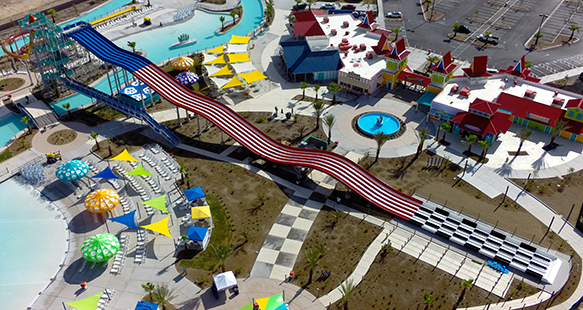 The connecting slides were imported from Turkey, and were very specialized pieces of equipment and difficult to assemble, yet R&O made sure the park was opened for the July 4th holiday. 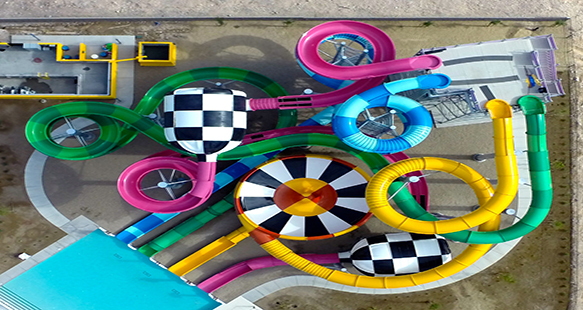 In addition, Cowabunga uses 1.5 million gallons of heated water recycled through the park. The main building is 14,956 sf with a secondary building of 2,341 sf. 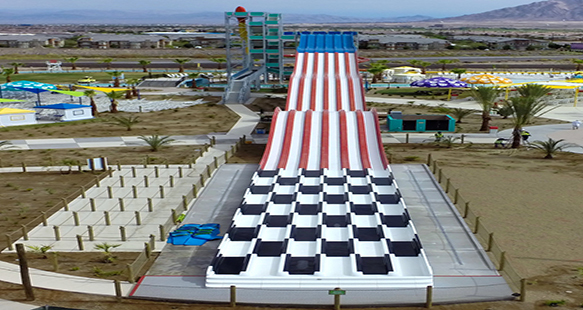 The water park is the newest sensation in the Henderson area. Two buildings of 17,297 square ft.